The Hepatitis C Virus is a problematic human pathogen. Hepatitis C Virus is genetically highly variable and, based on phylogenetic analyses, viral isolates are grouped into seven genotypes (1–7). Unique Hepatitis C Viruses were discovered recently in animal hosts. See here. Still, the direct ancestor of Hepatitis C Virus has not been found, but the genetically most closely related animal Hepatitis Viruses exist in horses. 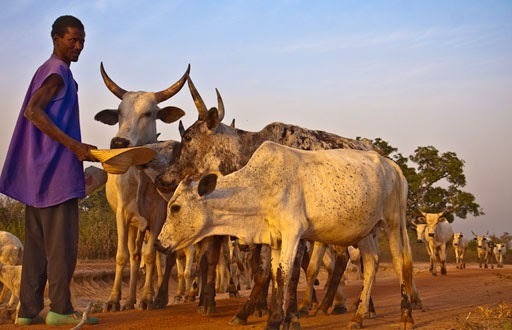 To investigate whether other semi-domestic (or peri-domestic) animals also carry Hepatitis Viruses, researchers analyzed sera from Ghanaian cattle. Nine of 106 specimens contained Hepatitis RNA. Cattle Hepatitis Viruses formed two distinct phylogenetic lineages that differed enough to suggest the existence of different virus subtypes. Further analyses seemed to prove that these Hepatitis Viruses in cattle circulated for several centuries. Cattle Hepatitis Viruses were genetically highly divergent from all other Hepatitis Viruses, including Hepatitis C Virus. Hepatitis Viruses from genetically related equine and bovine hosts were not closely related and suggested an early split during the evolution of the genus Hepacivirus. Similar to equine Hepatitis Viruses, the genetic diversity of cattle Hepatitis Viruses was low compared to Hepatitis C Virus genotypes. This may suggest a possible influence humans regarding virus diversity in these animals. Further studies should investigate the occurrence of cattle Hepatitis Viruses in other geographic areas and breeds, and the potential exposure of human risk groups such as farmers, butchers and abattoir workers.